United States President Donald Trump has accepted the North Korea’s offer to meet with its leader Kim Jong Un to discuss the denuclearization of the Korean peninsula. In a statement, South Korea’s national security adviser Chung Eui-yong delivered Kim’s invitation to Trump, saying Kim “expressed his eagerness to meet President Trump as soon as possible.” Chung also said that Kim is ready to discuss his nation’s nuclear and missile programs. The invitation comes following a visit by a high-ranking delegation from South Korea to Pyongyang, where South Korean officials met with the North Korean leader. The future meeting with the two leaders would be a historic breakthrough, and it could lead to Trump scoring an unprecedented diplomatic victory. Trump and Kim have repeatedly traded insults in the past year and have released statements threatening to wipe each other out. Chung also said that during their visit to Pyongyang, Kim said he is committed to denuclearization. “Kim pledged that North Korea will refrain from any further nuclear or missile tests,” he said. 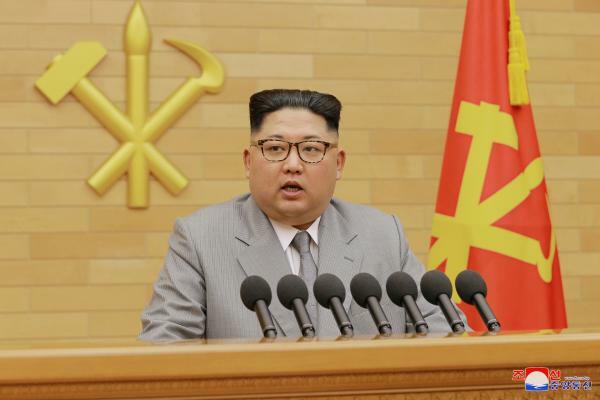 The South Korean official also offered praises for Trump, saying his administration’s pressure on the North Korean government has led to this juncture. Other nations, on the other hand, reacted cautiously to the recent developments. China and Japan emphasized on maintaining sanctions and the pressure on North Korea until concrete steps are taken toward denuclearization. Australia, meanwhile, reminded the U.S. that North Korean has a history of making agreements but failing to honor them.